The Dispatch Division is supervised by 9-1-1 Central Dispatch Director, Tim McGee. 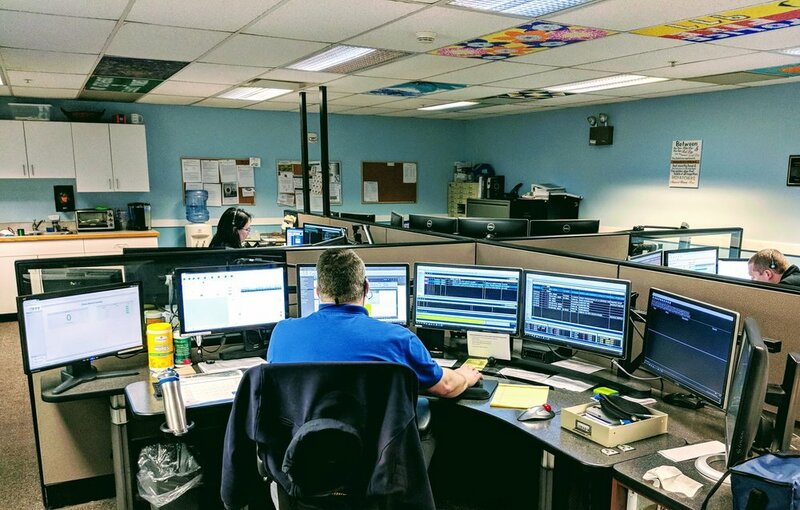 Central Dispatch has a Deputy Director and13 full time dispatchers working 24 hours a day. They are responsible for answering and disseminating calls to14 Fire Departments, 13 EMS Services and 11 police agencies throughout the county. 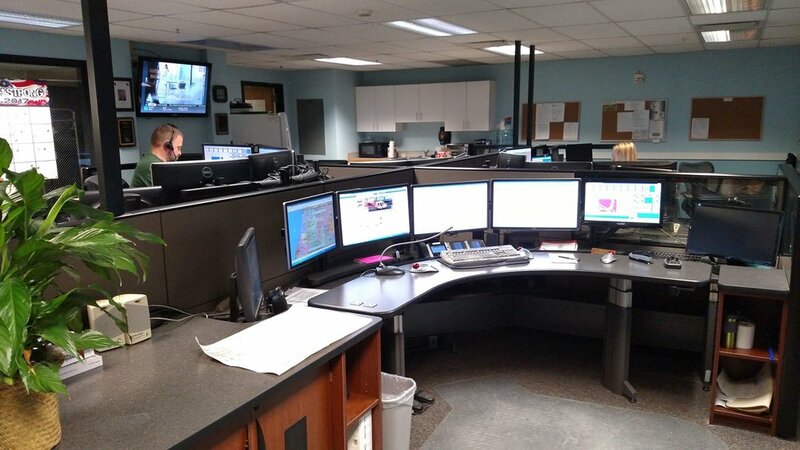 Van Buren Central Dispatch will serve as the critical link between our citizens, visitors and public safety agencies. By being respectful, compassionate, and professional; we are committed to making a difference in the lives of others. Smart911 allows citizens to provide the additional details that 9-1-1 call takers may need in order to assist them during an emergency. When you dial 9-1-1 today, the information received by the 9-1-1 call center can be limited based on the type of phone you are calling on. With Smart911, anytime you make an emergency call from a phone registered with your Safety Profile, the 9-1-1 system recognizes your phone number and automatically displays your profile on the screen of the call taker who receives your call. Visit smart911.com to sign up or read more about how this could help you, your family and pets. If 9-1-1 service is interrupted for any reason, have a listing by your phone of the local telephone numbers of the police, fire and EMS service in your community. You can find these telephone numbers in your local telephone book. Be prepared, have these emergency telephone numbers posted near your phone! 9-1-1 is the telephone number that provides direct access to police, fire and medical assistance and initiates a coordinated response. In an emergency call 9-1-1 to report a crime in progress, a fire, a serious illness or injury or any situation requiring immediate response of the police, fire or ambulance services. Speak slowly and clearly. Let the dispatcher ask the questions the responders must know. They include: address where help is needed, nature of the problem, your name and telephone number. IMPORTANT: Call 9-1-1 first in all emergency situations. Do not call family members or friends. Do not attempt to transport a seriously ill or injured person. We can get qualified help to the victim much faster and safer than you can get the victim to help. *Stay on the phone and answer all of the questions. Do not hang up until told to do so. Help is on the way as you are speaking. Thinking about purchasing a communications service to help you in the event of emergency? Considering downloading an application that adds "extras" to 9-1-1 on your Smart phone? Are you looking into buying a phone or communications product that will assist you to locate a lost or missing disabled or elderly person through the 9-1-1 system? Have you purchased a 9-1-1 application? Before you do, here's some information that should help inform you about the myriad of products and services that are being marketed to the public as well as some of limits on the current 9-1-1 system. Remember, the technology market for consumers is constantly evolving and new products and services are emerging all the time. If you have a question or if the product sounds to "too good to be true", call (269) 657-3101. If you'd like to learn more about 9-1-1 in Michigan, visit the State 9-1-1 Committee's Web site at:www.michigan.gov/snc. DIAL 9-1-1 IN MICHIGAN IF YOU HAVE AN EMERGENCY! Under an order issued by the Federal Communication Commission (FCC), 9-1-1 calls made from cellular phones must be routed to a 9-1-1 center (commonly known as a public safety answering point or PSAP), whether they have active service from a provider or not. • These phones are known as NSI phones and 9-1-1 calls on NSI phones usually route to a PSAP, but in most cases, they DO NOT provide the caller's call-back number or the caller's location. • Some services, such as alerting services (like one-touch calling services for senior citizens) may use NSI phones to call 9-1-1 on a wireless-cellular device. If this is the case, in most circumstances, no call-back number or location information will accompany the call. • Many donated wireless phones that are given away in charitable programs are NSI phones. Texting, also known as SMS (or short message service) has become a common means for people to communicate. • While texting is often quick, convenient, and in some cases, even easier than making a phone call, the technology to text 9-1-1 has not yet evolved! At this time, text 9-1-1 messages cannot be moved into the 9-1-1 routing system, nor can location information be provided via text, or can a 9-1-1 phone line send an outgoing text message. • Until a broad 9-1-1 network upgrade has been done and a system for the provider to send 9-1-1 text messages has been established, use your regular voice-based system or TTY to activate an emergency call. • If you are hard of hearing or deaf and do not have access to a TTY, a 9-1-1 call on a voice-based line may be your best option, even if you are unable to speak. Before the widespread use of 9-1-1, dialing "0" for a telephone operator was commonly used as a means to report an emergency. While 9-1-1 has replaced this system, it is still sometimes used by some people in an emergency. • Be aware! Responses and capabilities of the "0" for operator vary from provider to provider (and even from state to state). • Your location may not be displayed to the operator. • Your call may be answered by a communications provider's operator outside of your state who is not familiar with your emergency response system and may not be trained to answer emergency calls to the level that an emergency dispatcher-telecommunicator is. In some areas, disconnected landline phones will still be able to dial 9-1-1, in other areas they cannot. This varies from provider to provider and if it is a potential issue in your household, it is advisable to check with your telephone provider in advance. Are you thinking of switching providers, phone service, or technology? There is now a myriad of products on the markets, many of them offering lower costs and more options for service (such as multiple lines, voice mail, and data service). • It is important to research any product or service that you are thinking of buying, since they are regulated at different levels, and in some emerging technologies, they may have not have any regulatory oversight at all. • Some do not work if you do not have electricity. A. Does the product provide location information of the caller to the PSAP? B. Does the product provide a call-back number to the PSAP? C. If your answer is "NO" to A or B above, ask the provider selling you the service if the emergency call is routed to a private-corporate call center that can contact a PSAP for you with your location information and information about the emergency? 1. Where does this service work and is the information from the application available everywhere? Not all jurisdictions across the country participate in notification systems or have the ability to update events in "real time." 2. If you download an application, ask yourself, "How is this application going to help in an emergency?" For instance, how is an application that contacts third parties for you when you call on going to affect you and them when you make an emergency call? - Do you have the personal resources to keep that information current? - Are others aware that you have made them part of your 9-1-1 service?